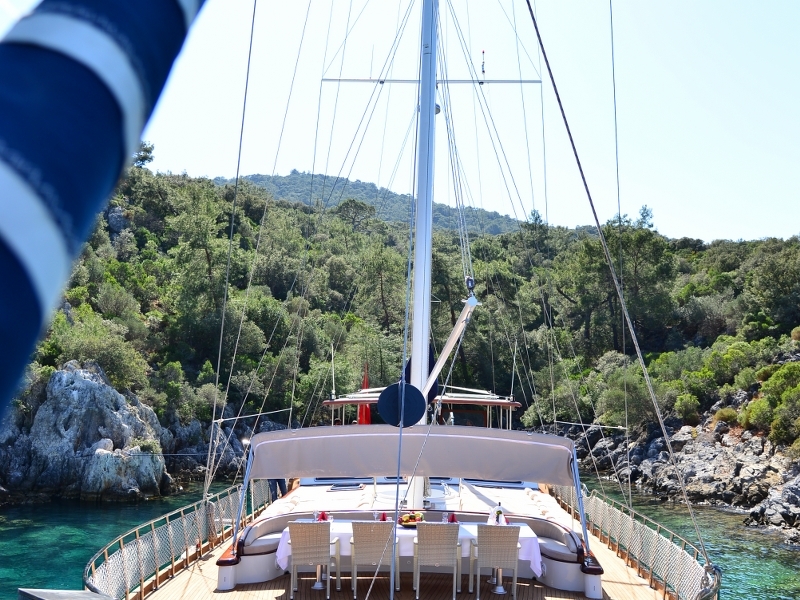 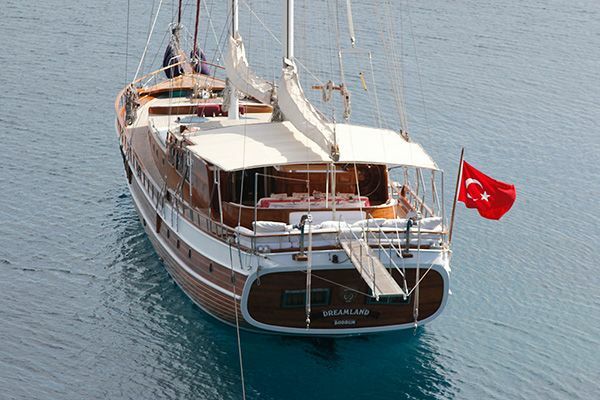 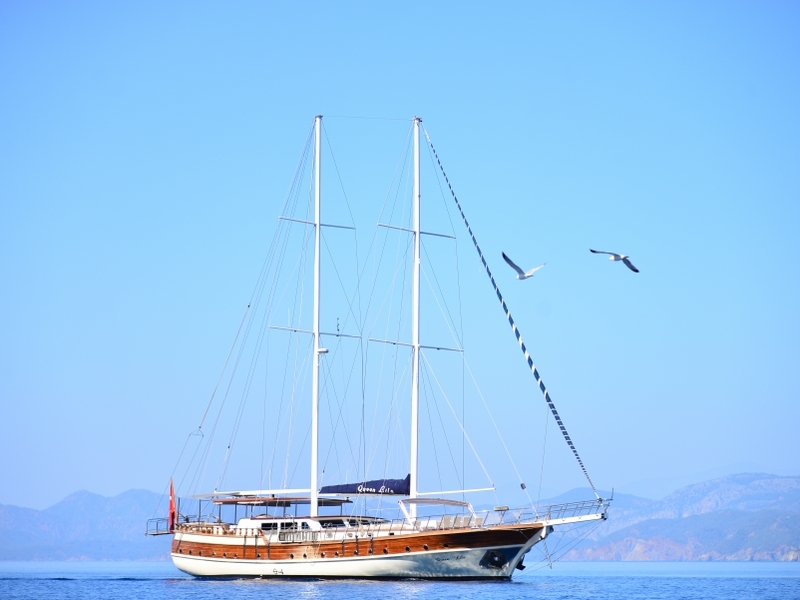 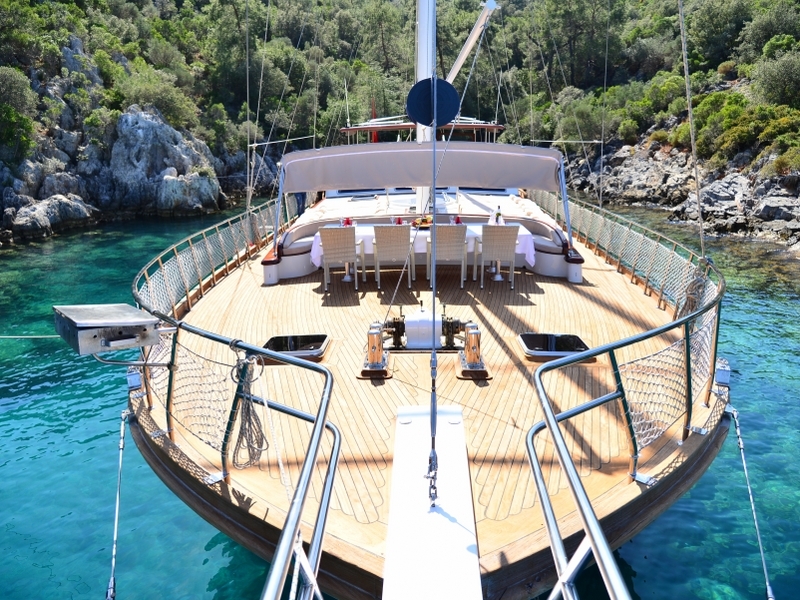 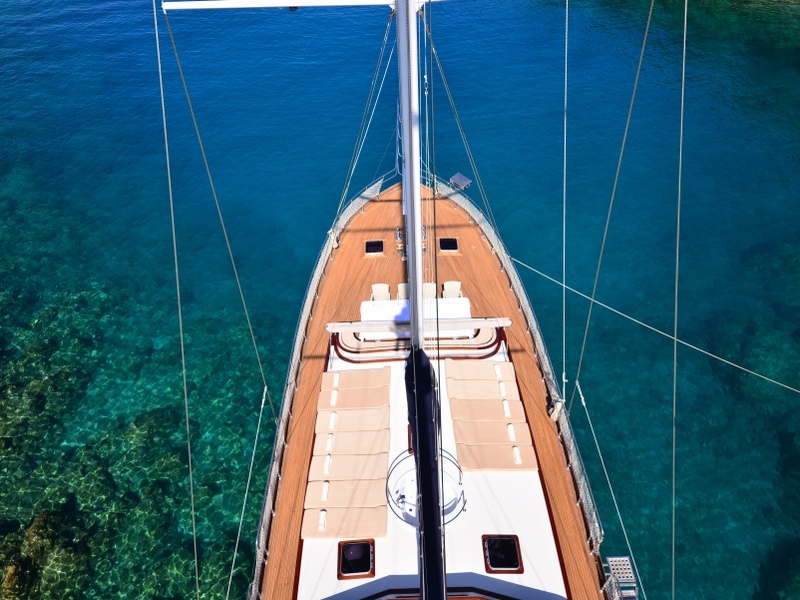 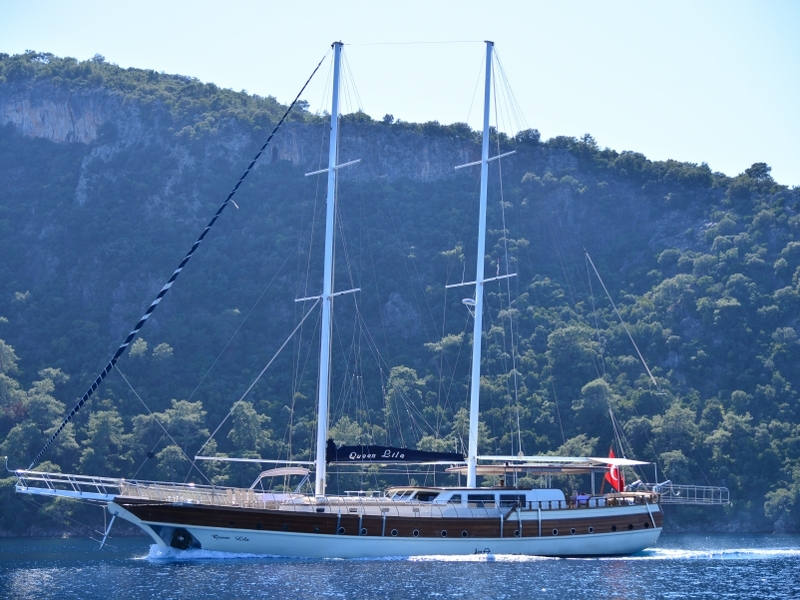 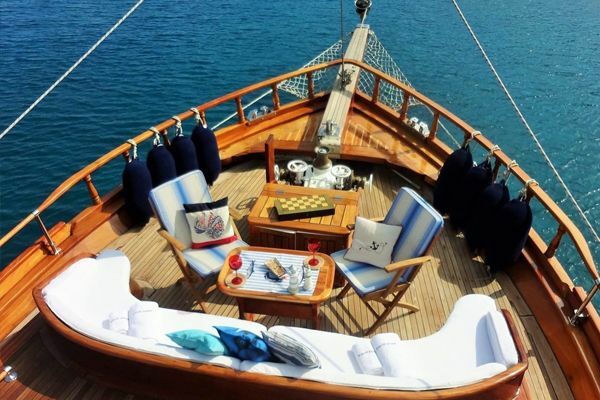 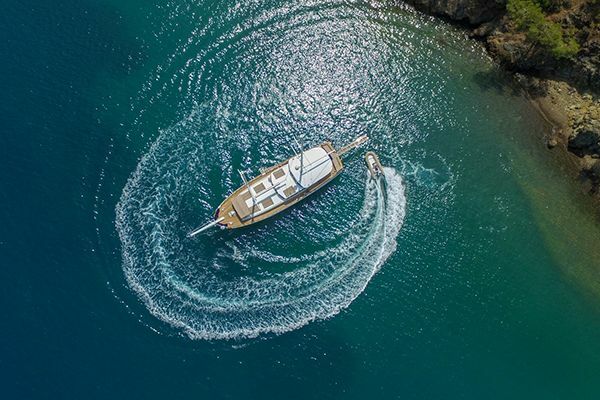 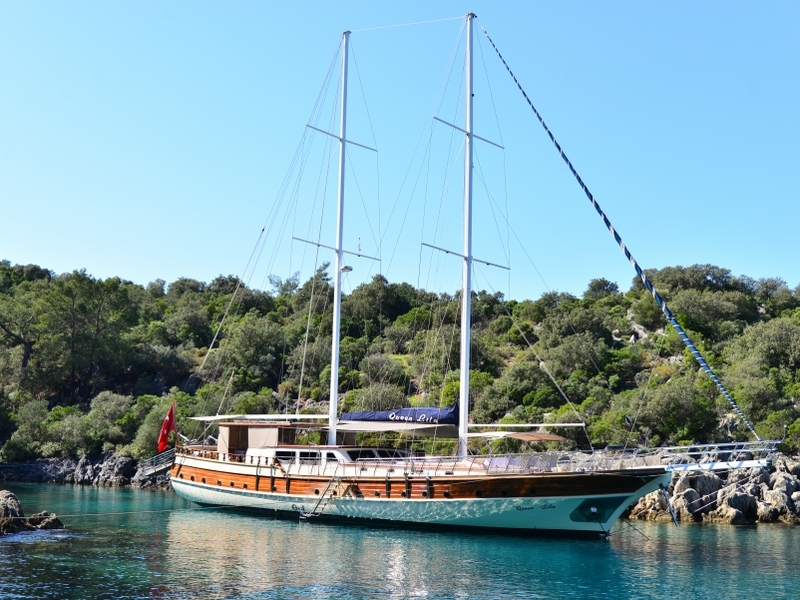 The luxury charter gulet Queen Lila is a familiar sight in her home cruising grounds of Fethiye and Gocek bays with her distinctive and graceful wooden hull. 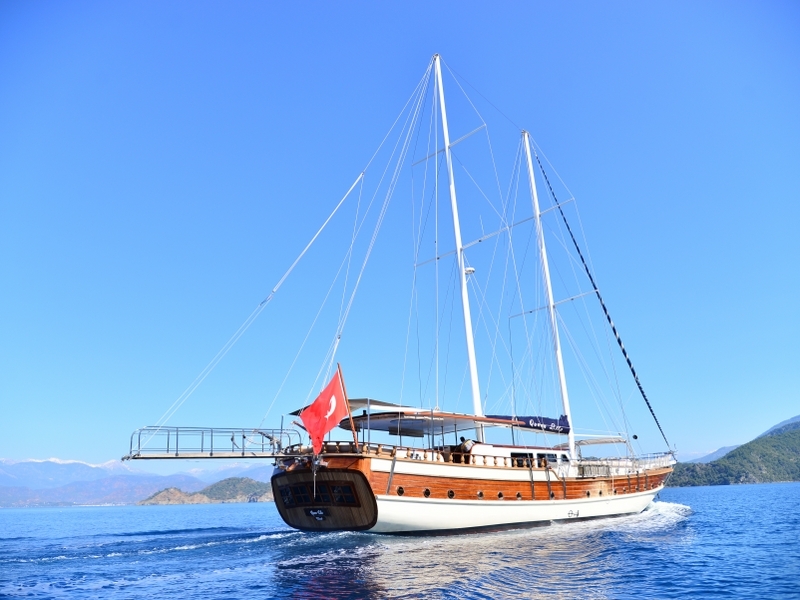 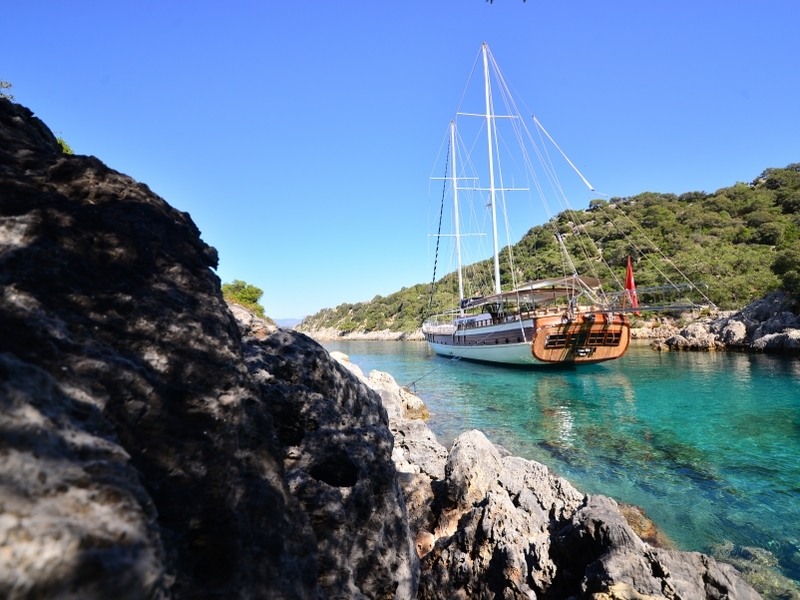 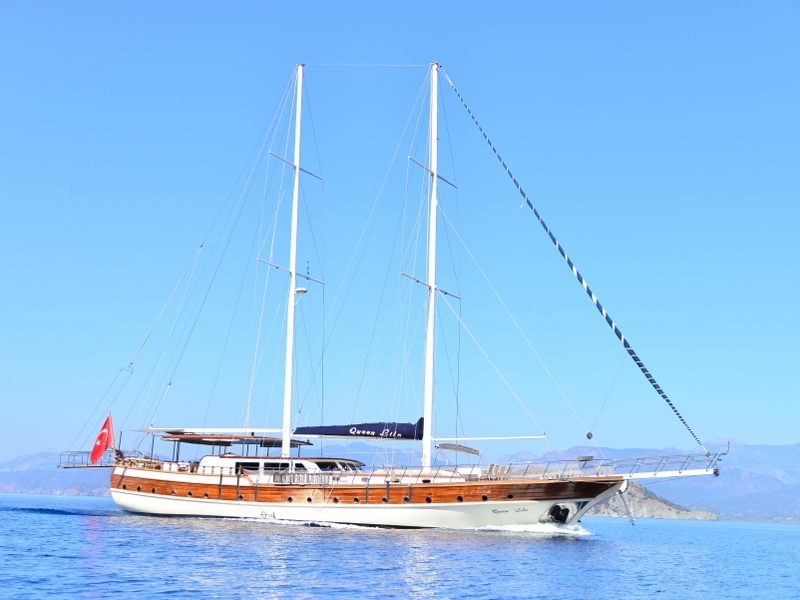 She is a popular choice for groups or families with up to twelve guests for an excellent value gulet cruise on the Mediterranean coast of Turkey. 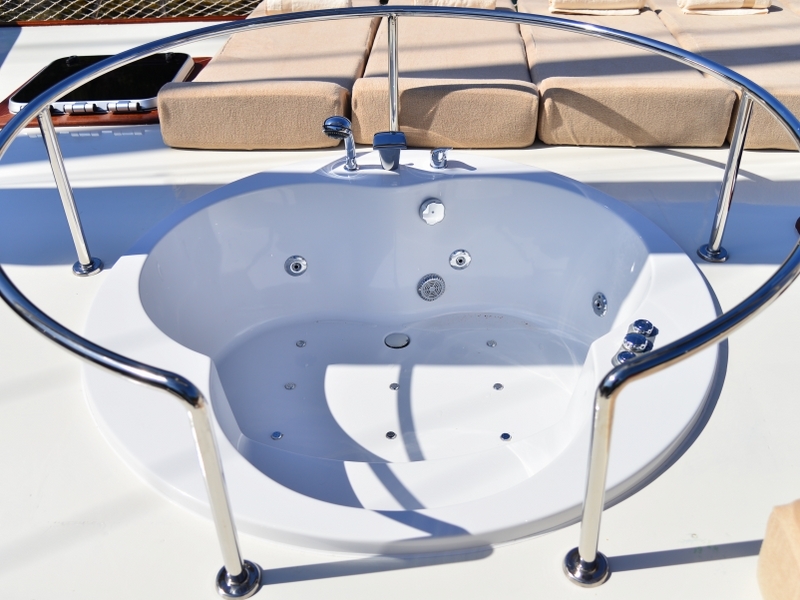 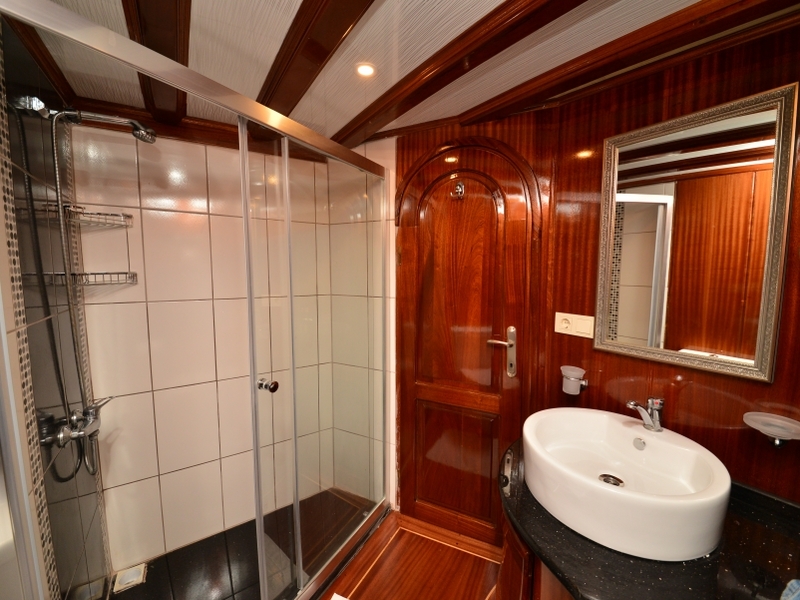 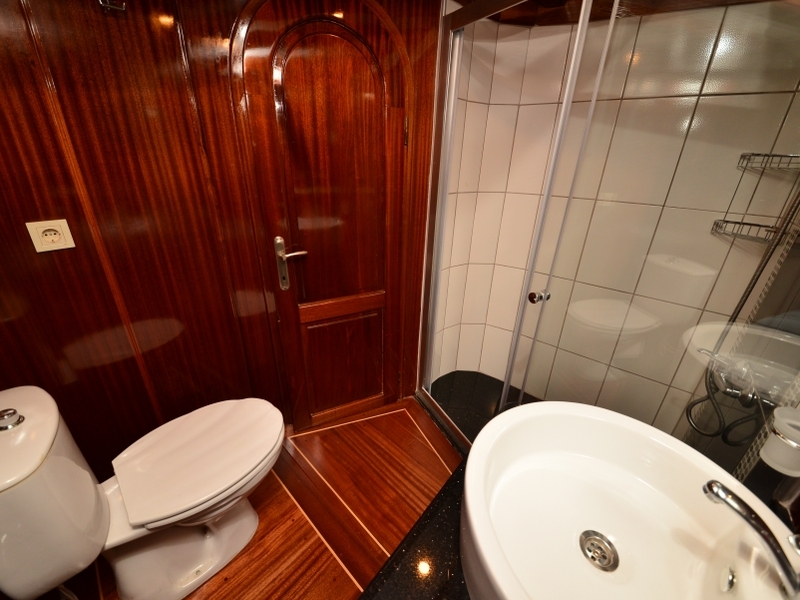 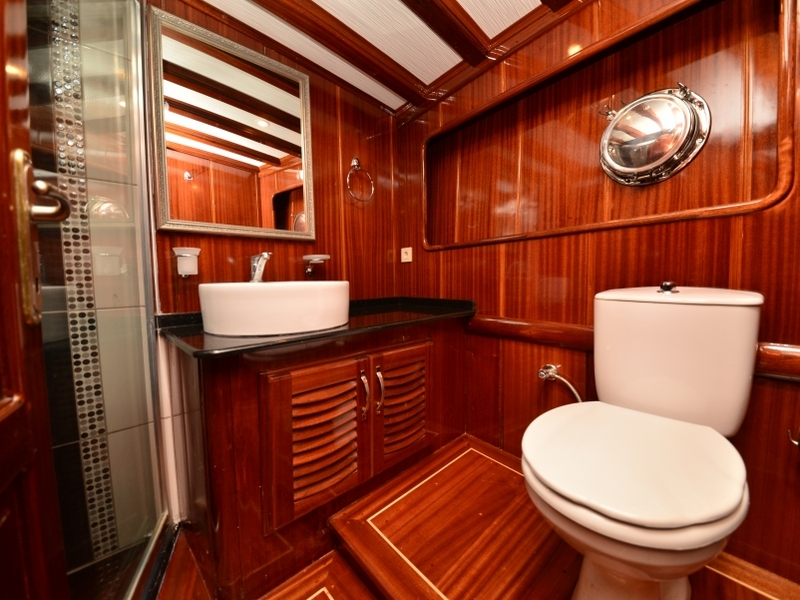 The neat, compact design gives the seven air-conditioned cabins, complete with portholes and their own shower bathrooms, a very nautical air. 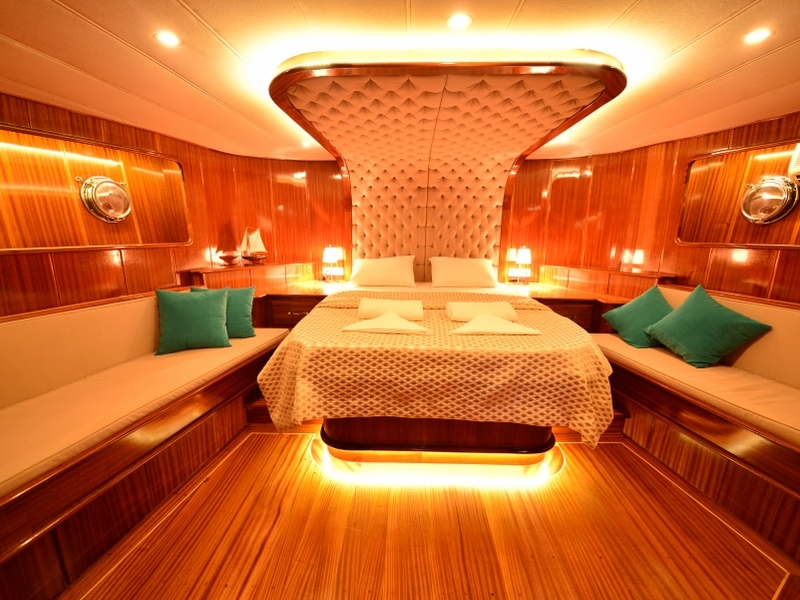 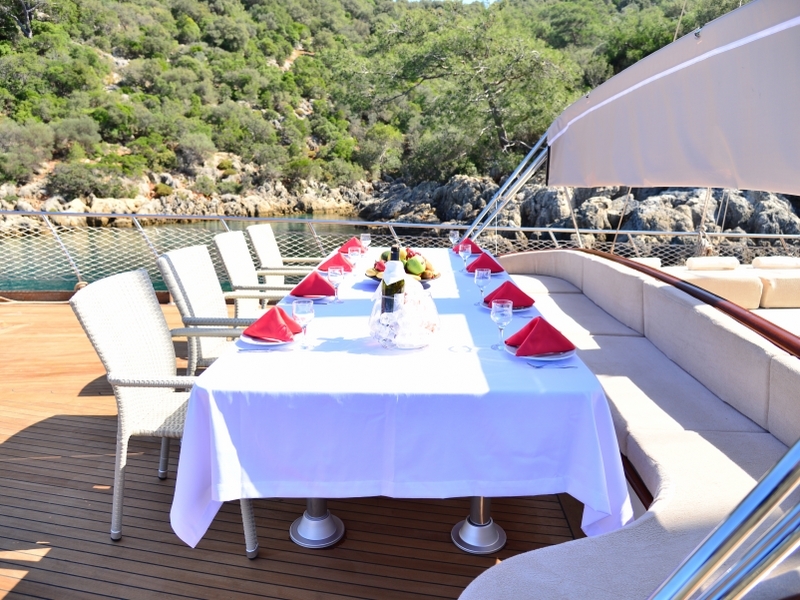 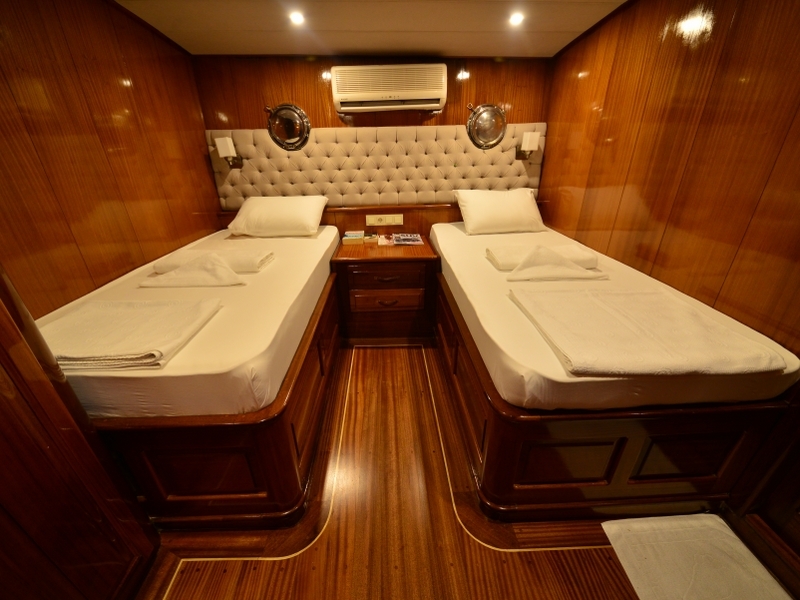 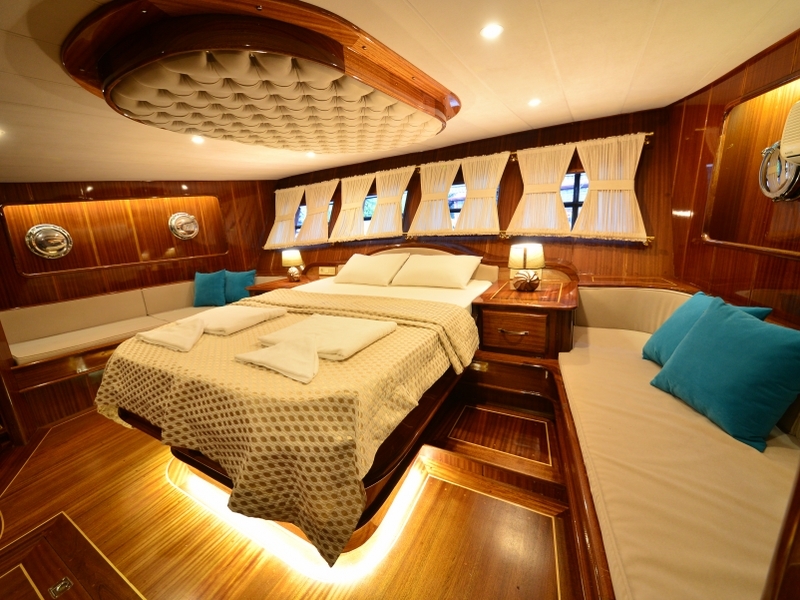 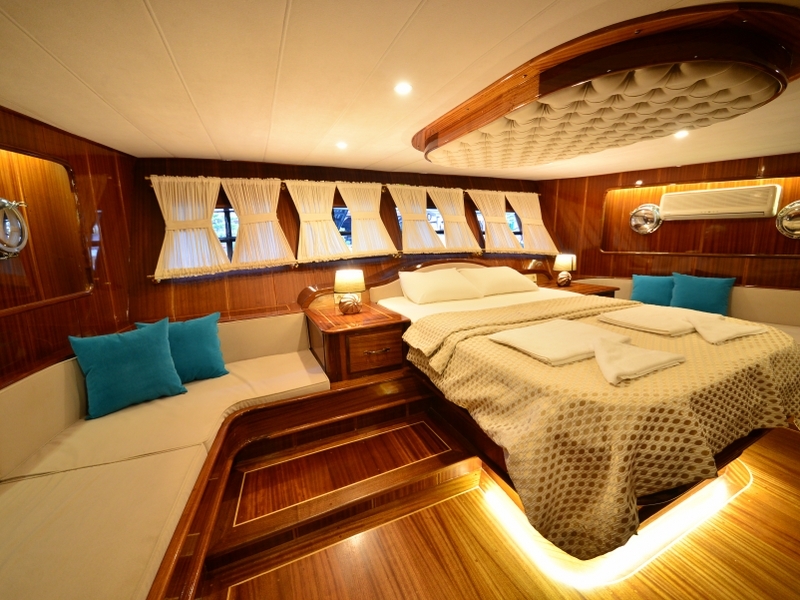 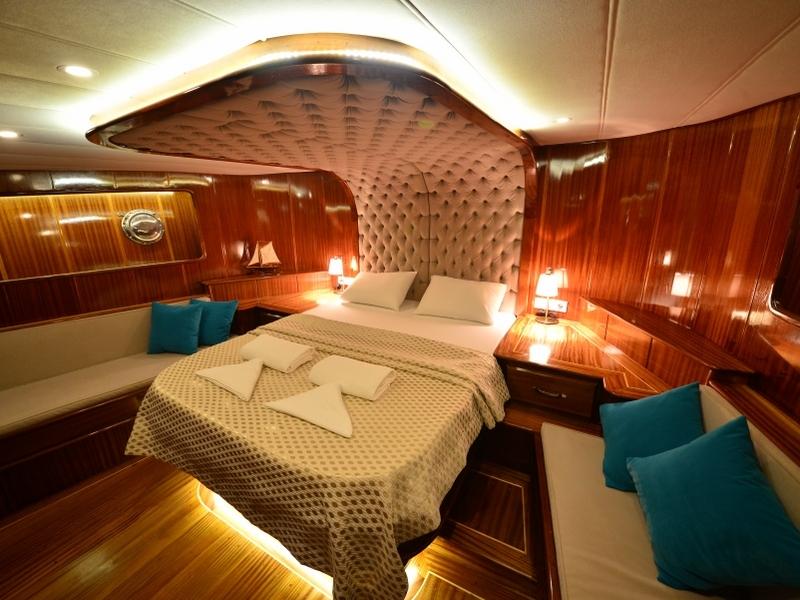 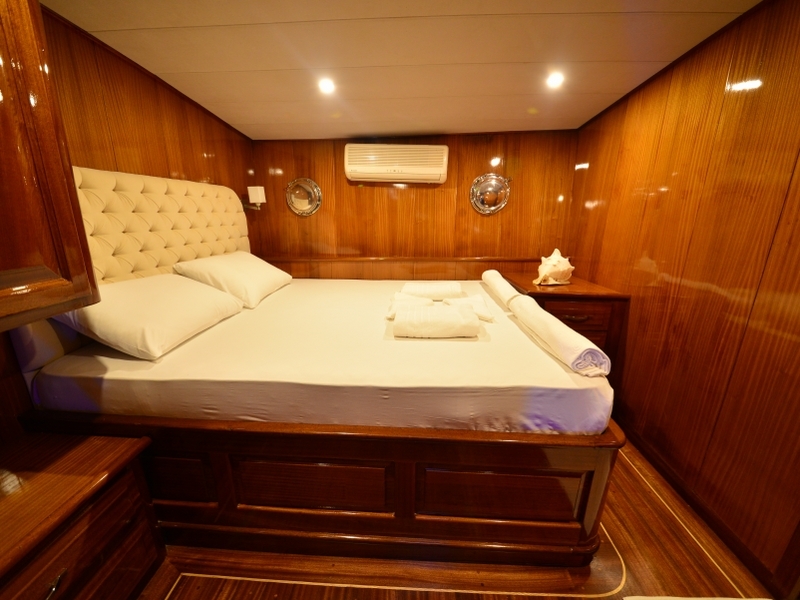 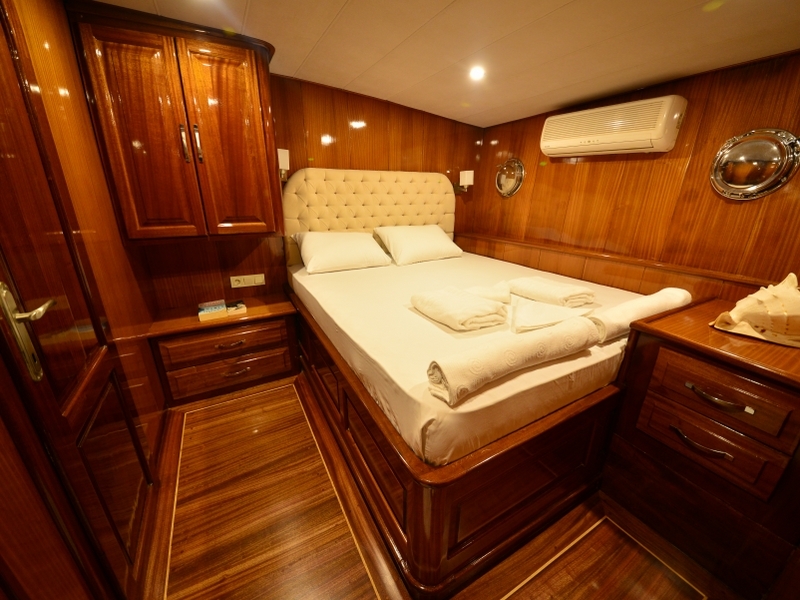 The five double bed cabins and two twin/triple with double bed+ single bed cabins on Turkish yacht Queen Lila offer a practical arrangement of beds for groups.The indoor tables and seats, and the generous outdoor spaces on forward and aft decks allow plenty of room for group gatherings or quiet relaxation. 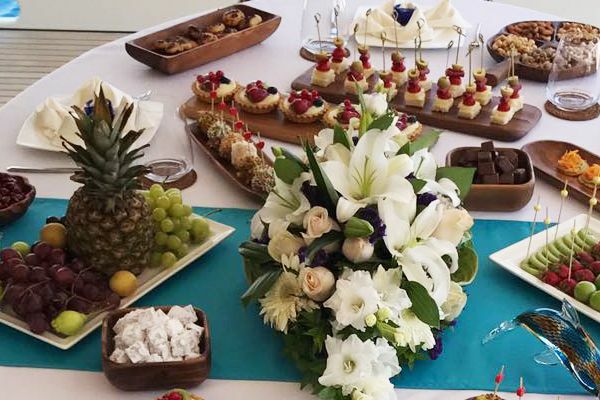 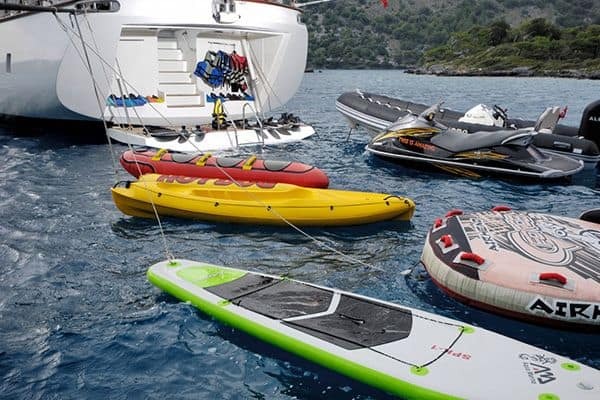 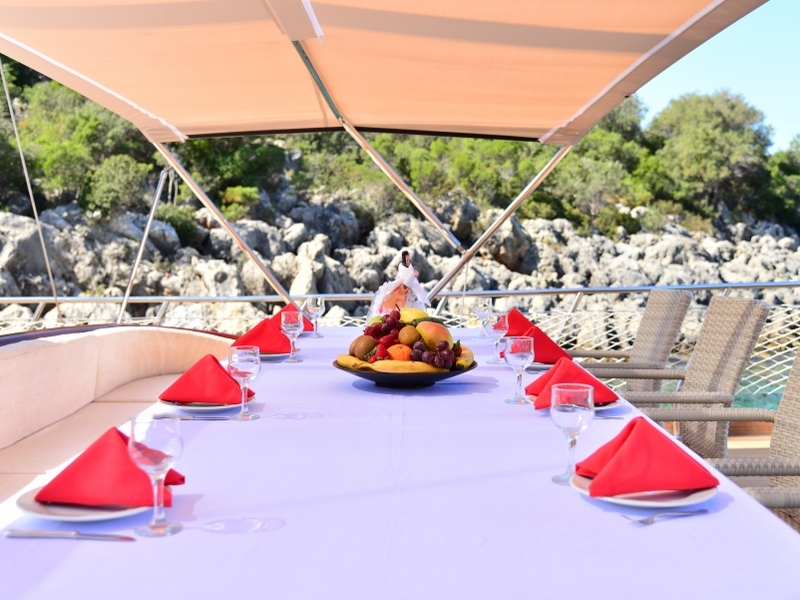 The crew of three prepares and serves great meals on the outdoor tables, look after all the drinks service, the guests and the boat, and they can produce a very good BBQ. 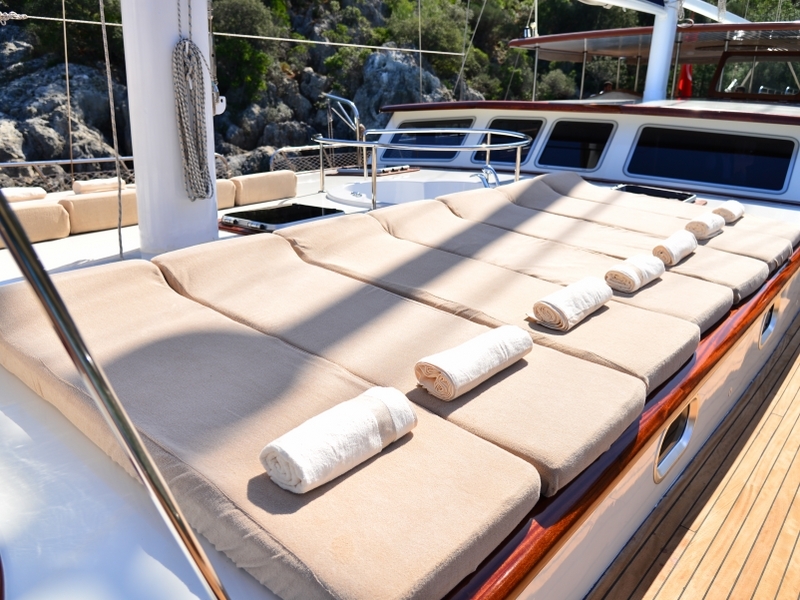 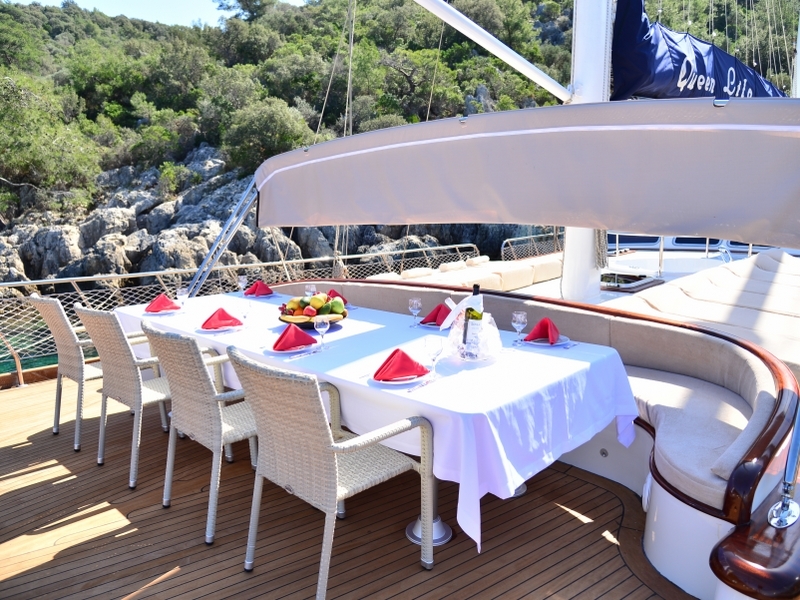 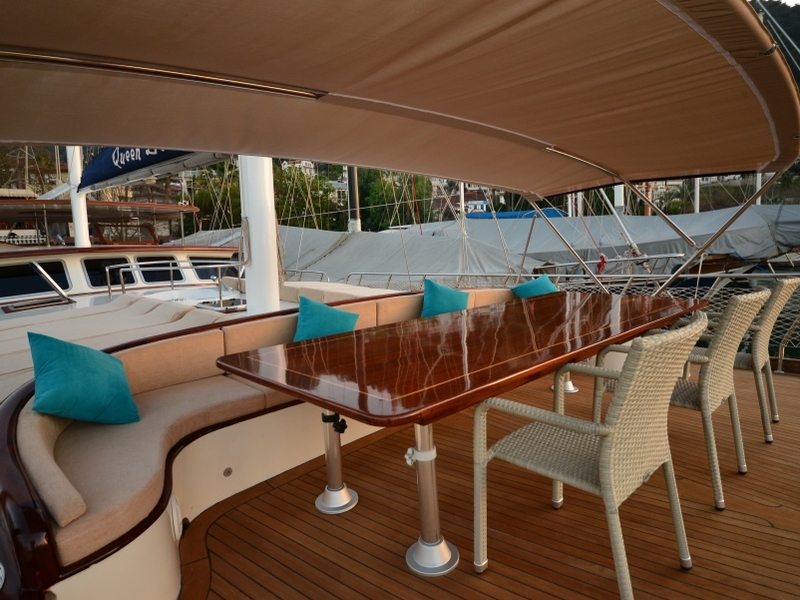 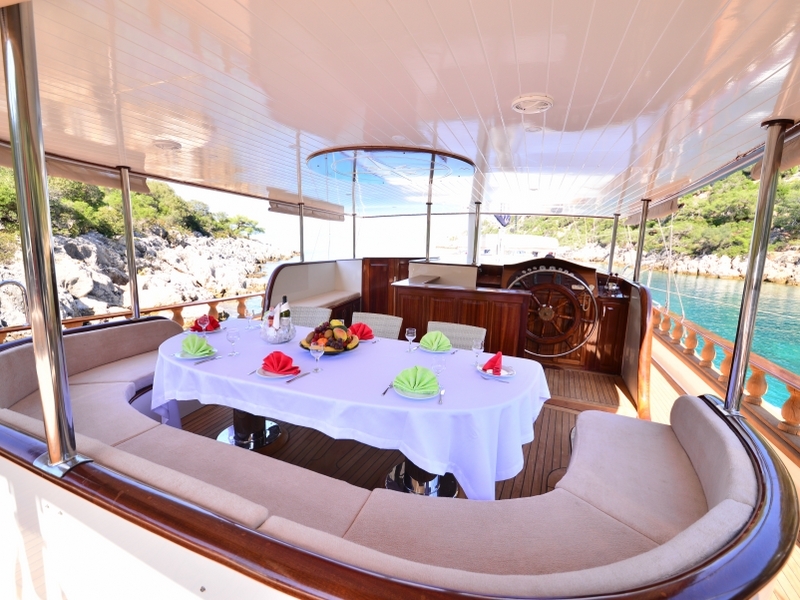 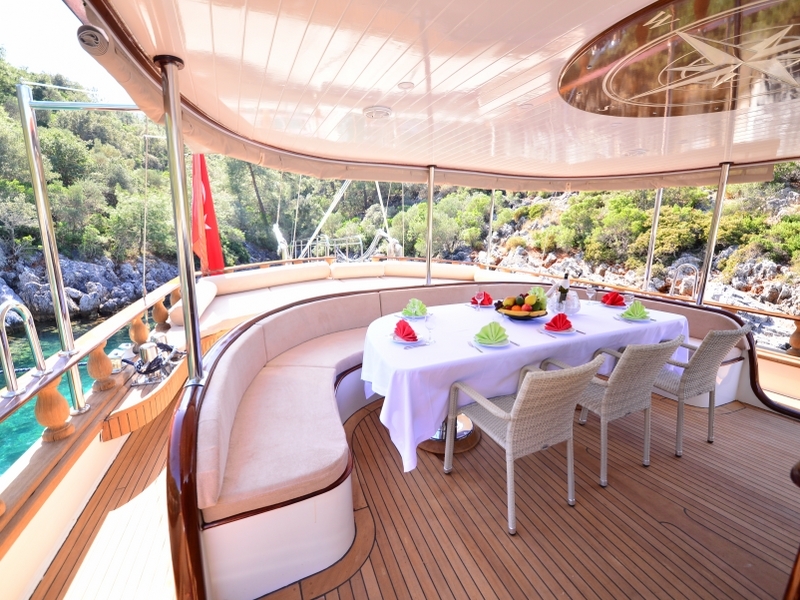 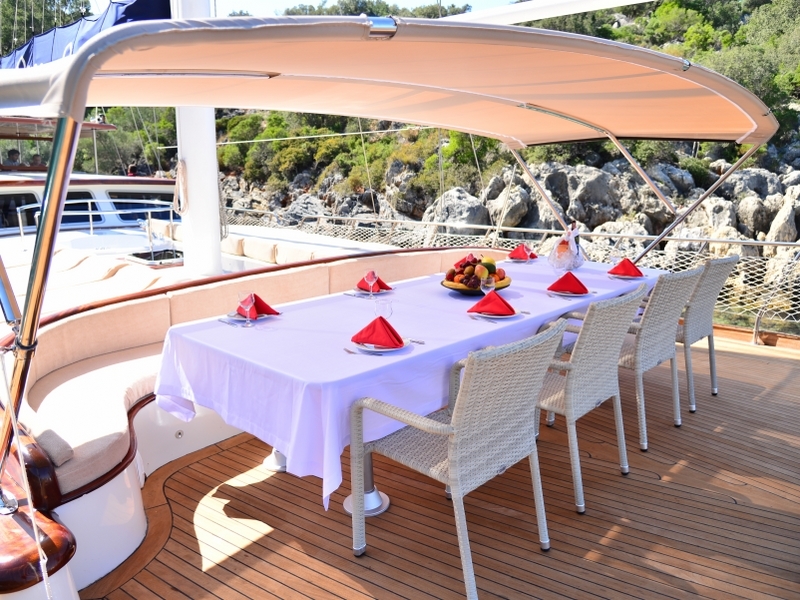 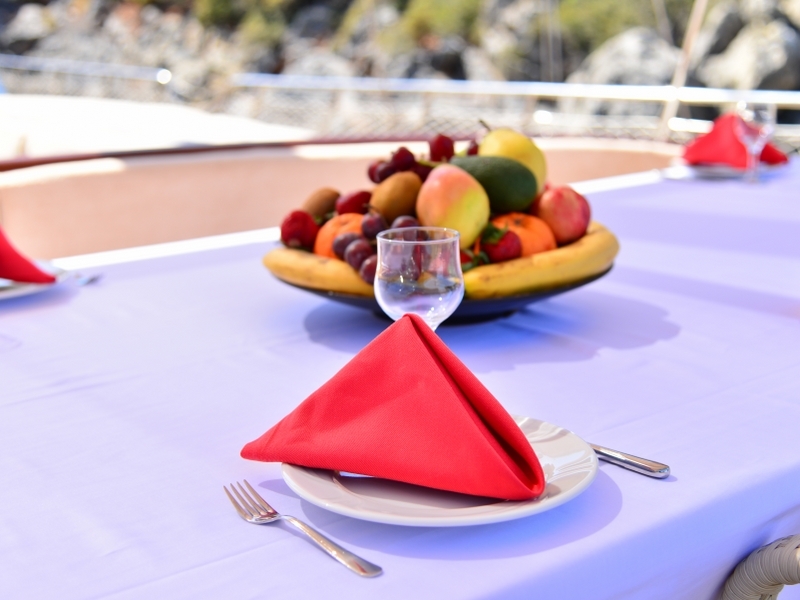 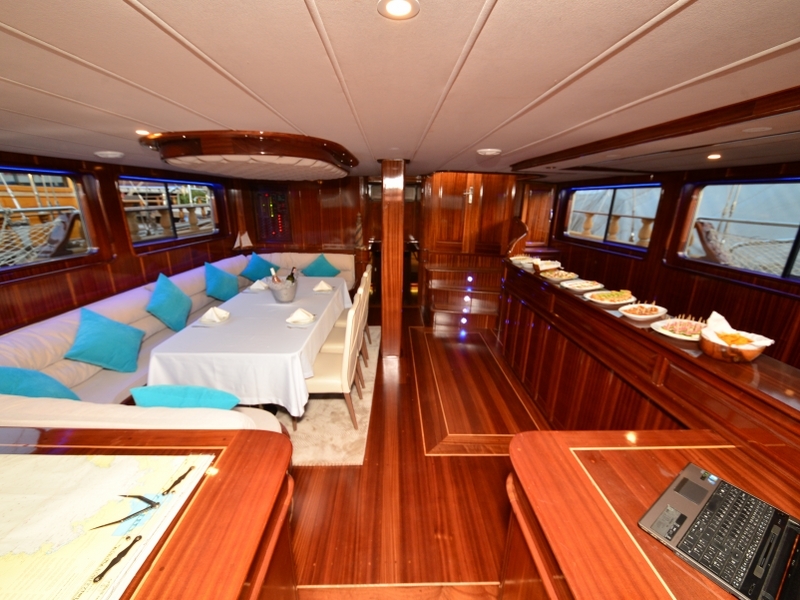 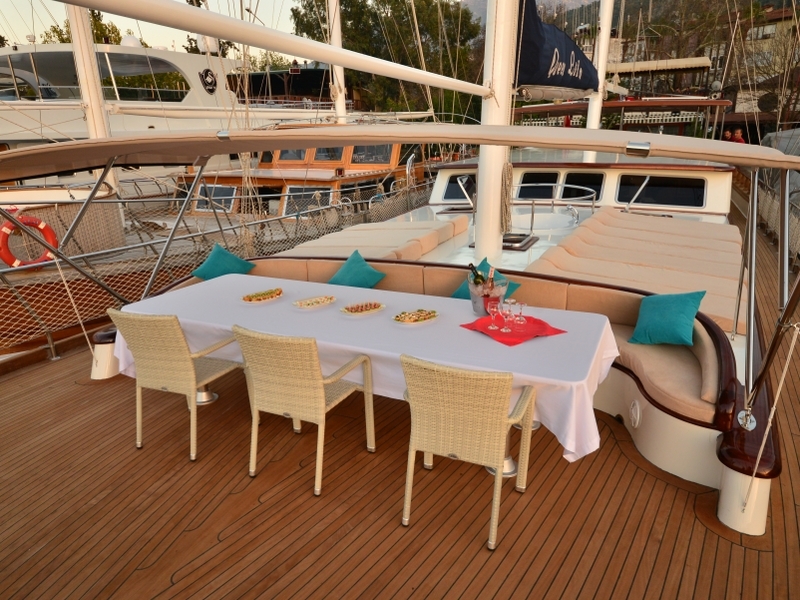 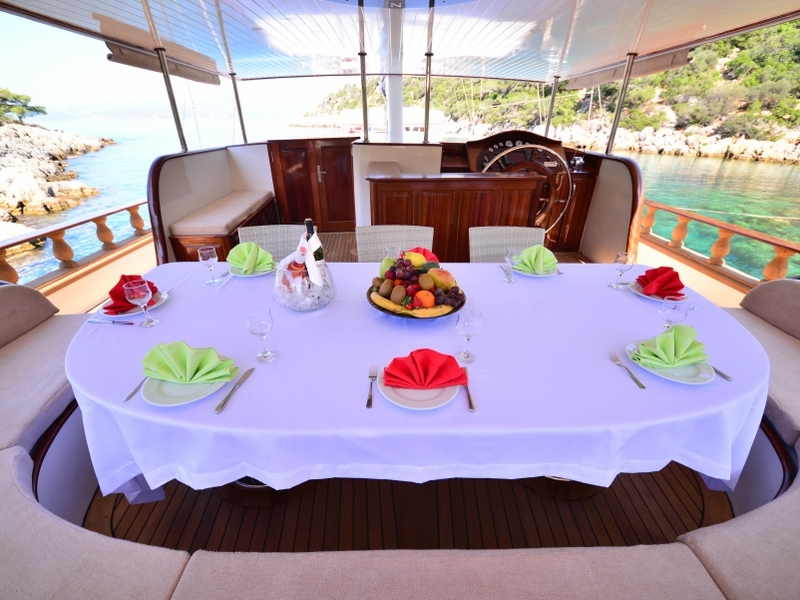 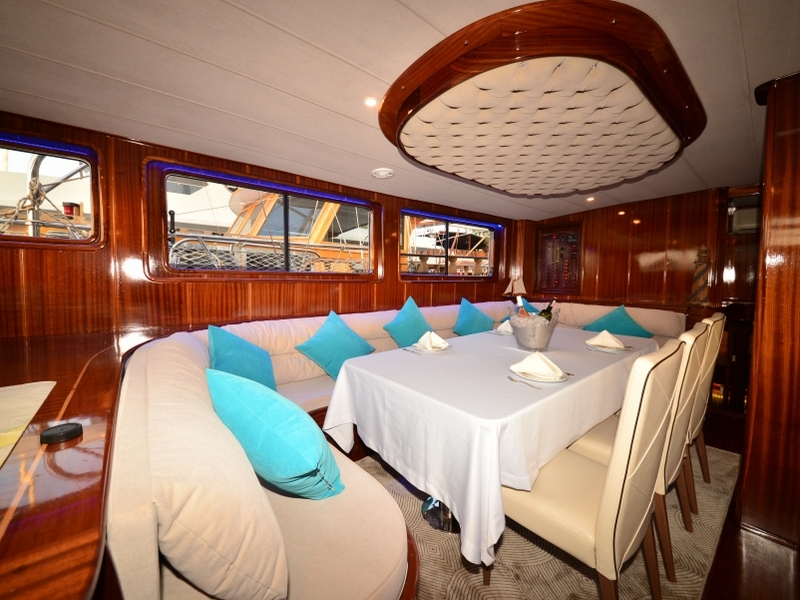 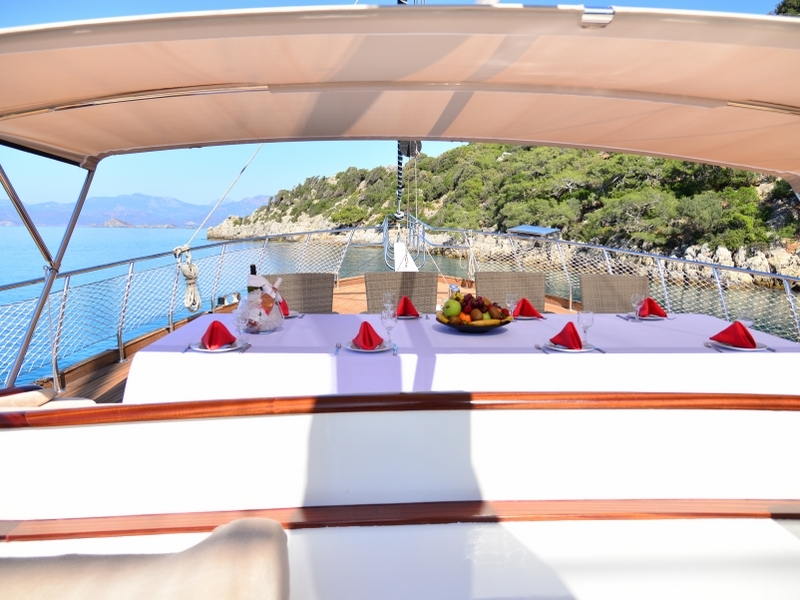 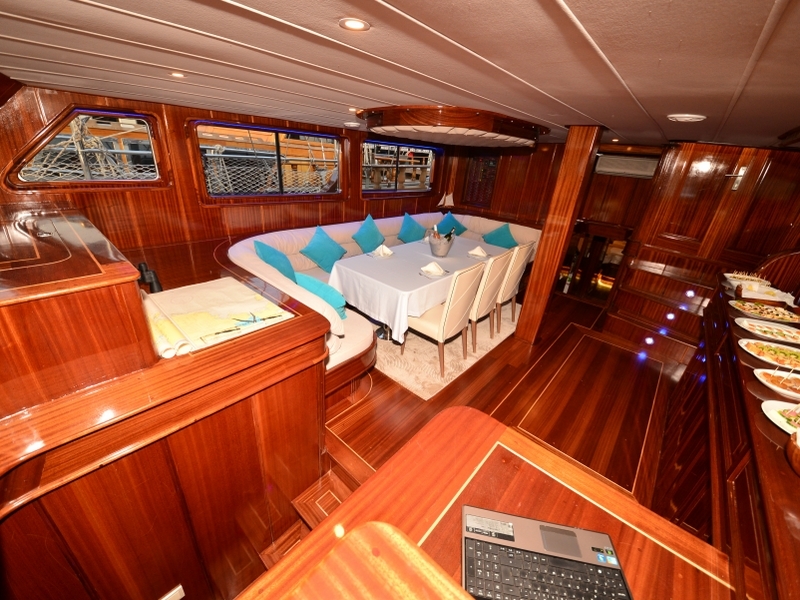 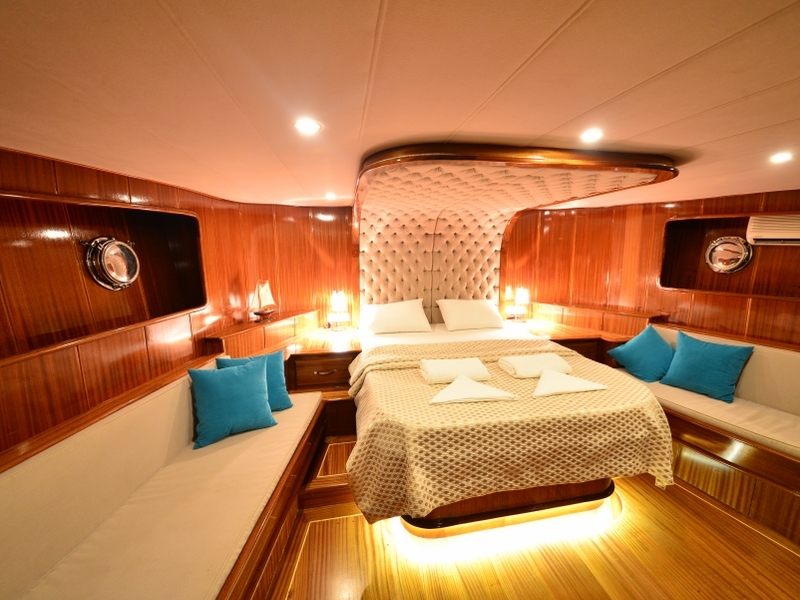 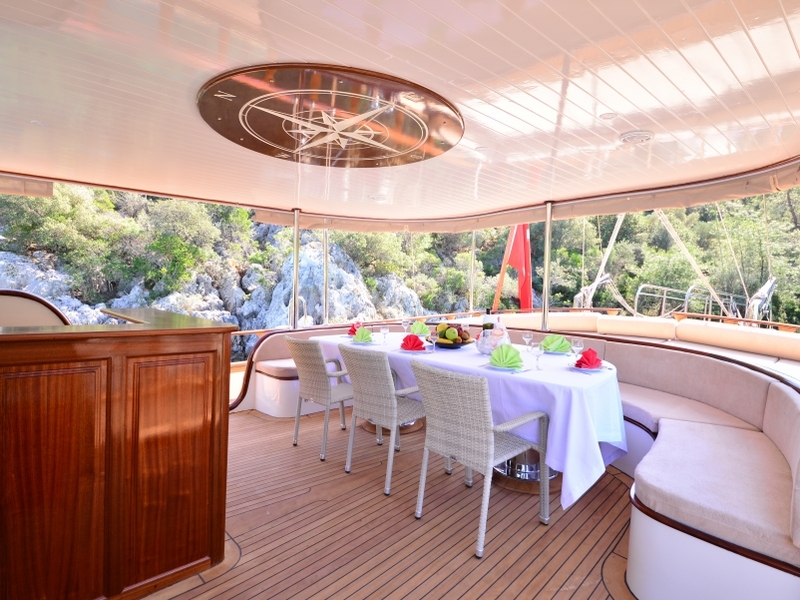 On the spacious foredeck, in the sun or under the shade awning, guests can use the bean bags, hammock, sunbeds or the couch bench of the large table, to sleep, chat, sunbathe or read.